Wine bottle bags and backpacks for toting your bottles. Insulated single and dual bottle totes. Ideal for carrying your wine and eliminate breakage. Great for picnics, cottages, dinner parties and general transport. Neoprene Two-Bottle Wine Tote with 2 freezer gel packs. 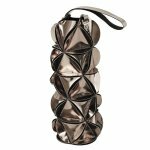 The insulated Hamptons Wine Bottle Carrier is stylish, practical and compact. Go-anywhere, ship-anywhere with the Wine Skin bottle bag enclosure with the leak-proof seal. The WineSkin looks even better than the pictures show. Thick vinyl exterior with bubble wrap on the inside. 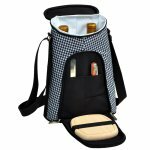 The insulated 2 bottle Houndstooth Wine & Cheese carrier is the ideal portable wine kit for two. Made of 600D Polycanvas / Cotton. The insulated 2 bottle London Wine & Cheese Tote is the ideal wine kit for two. The insulated two bottle Eco Wine and Cheese Carrier includes a variety of handy wine accessories. The insulated 2-bottle Hampton Wine & Cheese Tote, is the ideal wine carrying case for two. The insulated Single Wine Bottle Tote is stylish and compact. Made of Natural Woven Fibre & 600D Polycanvas. 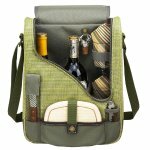 The insulated Houndstooth Two Bottle Wine & Cheese Tote is beautifully designed with interior leak proof lining. 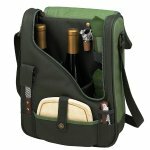 The insulated Two Bottle Wine & Cheese Tote is stylish and includes many well designed features. Logo printing available on this product!! Neoprene bag. 6 Bottle Divided Beverage Tote. Meant for 12-20oz cans or bottles – NOT meant for standard wine bottles. Roll UP your bottles and GO. The compact Roll Up features a patent-pending bottle protection system that lets you safely pack a bottle neatly inside checked luggage! Insulated Single Bottle Tote complete with a shoulder strap for easy carrying! Protect your beautiful Riedel glasses in this handy carrying bag. Complete with carrying handle and shoulder strap. 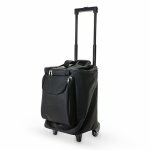 with wheels for easy travel! The 6 Wine Bottle Rolling Suitcase. 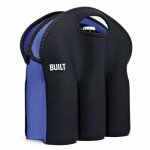 Designed with insulated and removable insert. 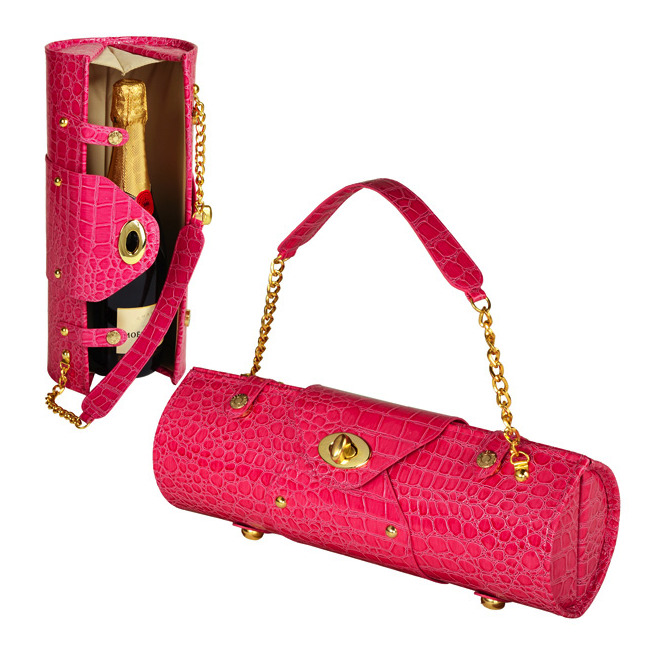 Pink Wine Purse can hold one bottle of champagne or wine. Turquoise Wine Purse can hold one bottle of wine or champagne. So you’re going on a trip and you’re worried about safely transporting your wine? Allow Rosehill to end your worries. 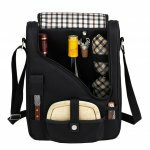 Please take a look through our wide selection of wine bags, backpacks and other accessories that will allow you to transport your wine from point A to point B, worry free! While our bags, traveling cases and wine totes are all very fashionable, they are also well insulated to keep your wines safely protected. Some also offer insulation specifically for cooling. Looking for the most economical buy? Choose from our selection of Reusable Wine Travelers, Bottle Wise Bottle Packs, or Wine Skins, for a simple and cost effective solution that will fulfill the same task. If you are looking to transport more than a single bottle of wine at a time, we also carry a great variety of duo wine bottle carriers, as well as some larger carriers that can hold up to 6 bottles of wine! Going on a picnic? We also have an array of wine totes that include handy accessories such as corkscrews, cutting boards and cheese knives! The great thing about these products is that there are so many options and features available that they’re also good for casual every day use. Safely transport your wine, no matter where you go! 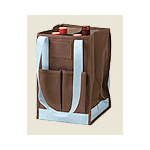 Like BottleWise wine bags, many of the wine totes we have available in the DUO collection are from Madison, Wisconsin, WI, United States, 53703 USA.